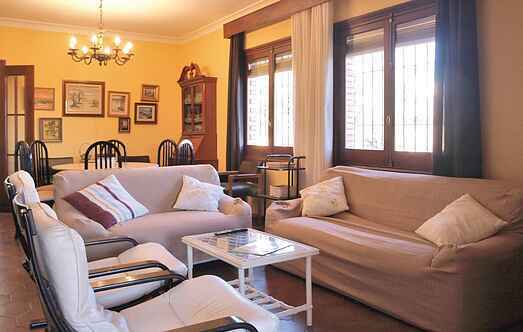 Choose from a selection of 14 holiday rentals in Valle Medio del Guadalquivir. Use the search form to the left to filter the results and pick your choice of self catering accommodation in Valle Medio del Guadalquivir. We have a good selection of holiday apartments in Valle Medio del Guadalquivir perfect for family, single, romantic and group holidays. You may prefer to take a look at our listed holiday villas in Valle Medio del Guadalquivir or holiday apartments in Valle Medio del Guadalquivir. Find your holiday homes by a specific type using the property type drop down in the filter. Filter the holiday homes in Valle Medio del Guadalquivir by a specific area using the area list above. Located on a private land, this newly built single-storey house with a pool is surrounded by orange and olive trees. This delightful holiday home is situated amidst olive groves and the pretty Andalusian countryside. The setting is a wonderful backdrop for a relaxing holiday with family or friends. From the spacious terraces of this property, you can enjoy the extraordinary landscape. This holiday home with completely fenced property is located between Cordoba and Seville and is only 5 km from the city of Palma Del Rio. This charming holiday home is a wonderful setting for a relaxing holiday within the Sierra de Hornachuelos Nature Park. This cozy holiday cottage is located in Posadas, between the Andalusian cities of Seville and Córdoba, in the middle of the Hornachuelos Natural Park. This house is different from the traditional houses in the village, but its beautiful architecture is consistent with the surrounding buildings. This Andalusian villa is nestled within the Sierra de Hornachuelos Nature Park, approximately 1.5 km from Hornachuelos itself. This fantastic unit of holiday homes, consists of 3 accommodations and is equipped with everything you need for a relaxing holiday with your family or groups. This beautiful holiday home is located in the charming village of Ochavillo del Río, a charming town in the heart of Andalusia, next to the beautiful Sierra de Hornachuelos Natural Park. This cozy holiday home with a capacity for 6 adults and a child is located on a finca with 2 other accommodations and is equipped with everything you need for a relaxing holiday.